From the revolutionary ALUMINIUM design comes the Givi TREKKER TRK52N 52L Top Case, the new and more capacious Trekker top case able to hold two flip-front helmets. Combining the TRK52N with a pair of lateral pannier cases from the same range, it provides the perfect combination for your long-haul travel. Made of polymers reinforced with glass fibers, it ensures high structural rigidity. It has a cover in anodized aluminium to resist weathering. Maximum reliability, with an uncompromising style. Welcome to the Trekker World. Discover new horizons. Get yours from Ghostbikes today! 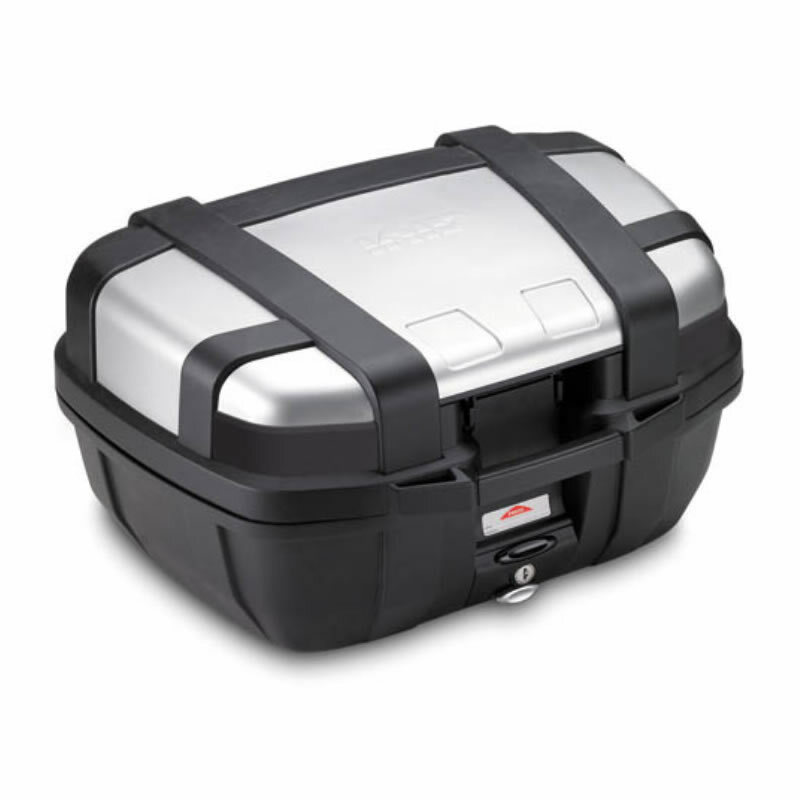 Givi Hard luggage requires specific fitting kits depending on the motorcycle it will be used with. If you require one of these please contact us with the make, model and year of your bike and we will special order the correct kit. The Givi Trekker 52L Aluminium Topcases are currently available in the colours shown in the product variation above, if there is no variation option, it will be available in the colours as shown in the pictures above.